That cloudy overcast day got your real estate listing photos down in the gray sky dumps? Or maybe the lawn guy was a little overzealous with the weed killer and now that beautiful green grass is brown and dead? Perfect (well, not really)! Our Blue Sky & Green Grass service is just for you. 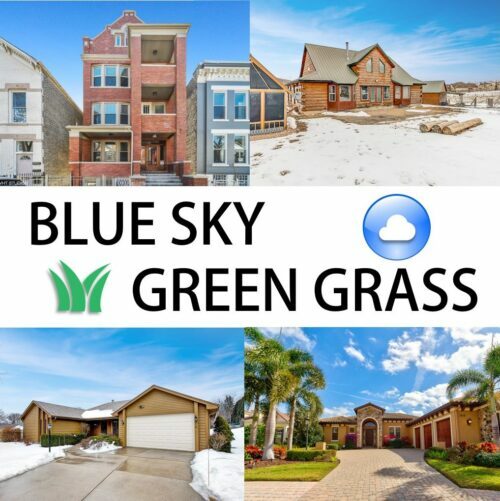 Blue sky insertion and Green Grass are incredible services to really force buyers to see your listing in a proper setting and of course for you to attract sellers that see you going the extra mile to get that listing sold! 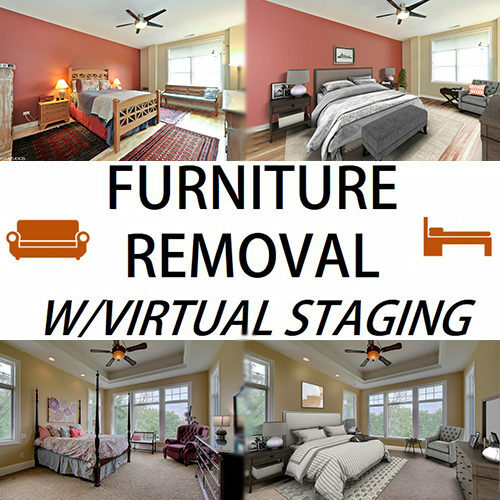 Furniture removal with Virtual Staging is only $55 per photo with a 3-4 business day delivery window. Watch us remove all that old furniture out of the room, then replace it with pieces from our beautiful and trendy furniture library. 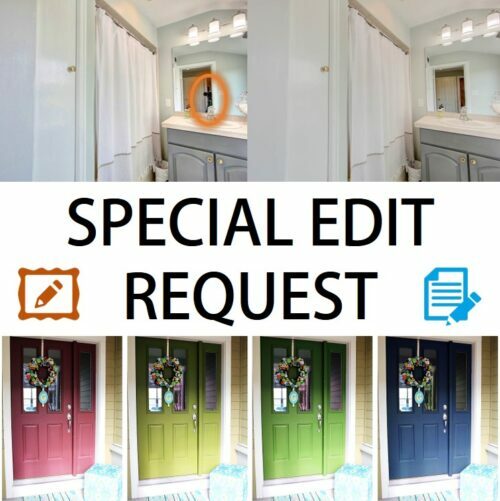 Want your listing to stand out online and cause buyers to stop and click on that listing time and time again? 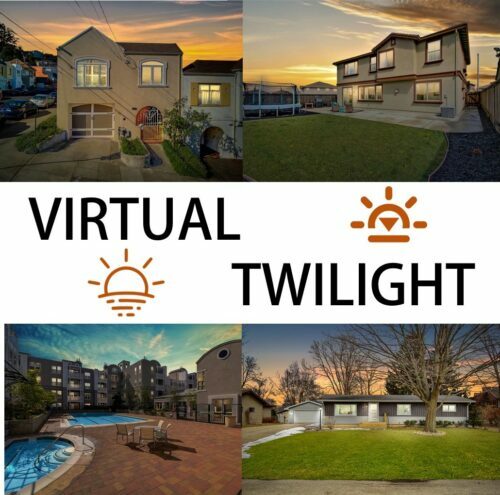 Virtual twilight with VRX Staging is the answer. We take any exterior photo, even aerial drone photos, and turn them into beautiful twilight masterpieces that will make buyers click and cause your referrals to go through the roof. Sellers want agents that do things a little different, agents that will go that extra mile for them and their listing. Ever wanted those strangely painted walls switched for more neutral tones? 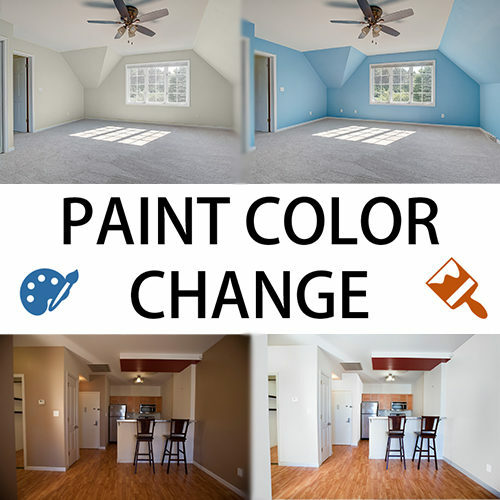 Well, now you can do that and much more with our Paint Color Change service. Order it here as a stand-alone or as an add-on on other products. Only $15 per photo! This is our core virtual staging service. If you want 1 photo staged, add this to your cart 1x, if you want 3 then change the quantity to 3 with the + button, if you want 10 then update the quantity to 10, etc. 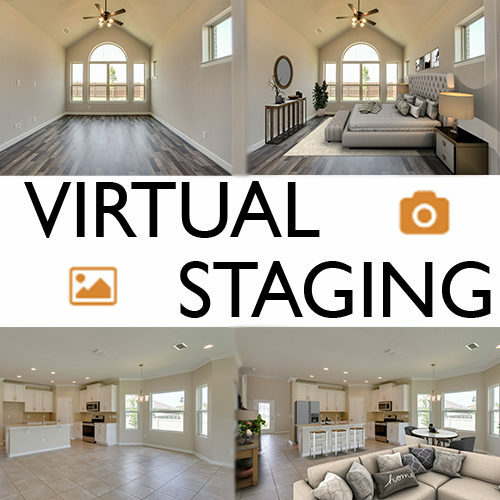 Amazing virtual staging at only $35 per photo! What are you waiting for? Order now!